Australian built and used regularly for over 40 years & now open for inspection! NEW AUDIO LOOP. LISTEN IN AS "HARRY" & "CHARLIE" PREPARE THE LOCO FOR THE DAY'S WORK! Three classic beauties in the roundhouse. 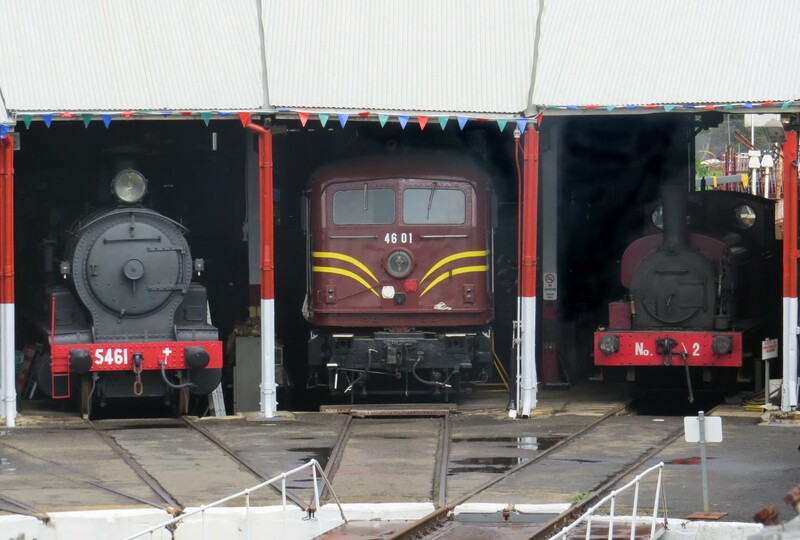 Electric loco 4601 with two steamers from earlier times. Robert Stephenson No 2 steam loco from 1899 is used with an open-ended carriage for unlimited rides on selected Open Days. "Roaring 20s and all that Jazz" festival hits town. Special happenings include: Period Dress competition, Model T cars, Morse Code demonstration, Jazz Band & more! Fully restored to its former glory by 6,000 volunteer hours over 4 years. It used large ice blocks for cooling. Also suitable for meat transport up to several days. Rays from the late autumn sun create shadows of lifting equipment on the smokebox door of a proud 19th century tank engine. An historic stunner's restoration is complete! 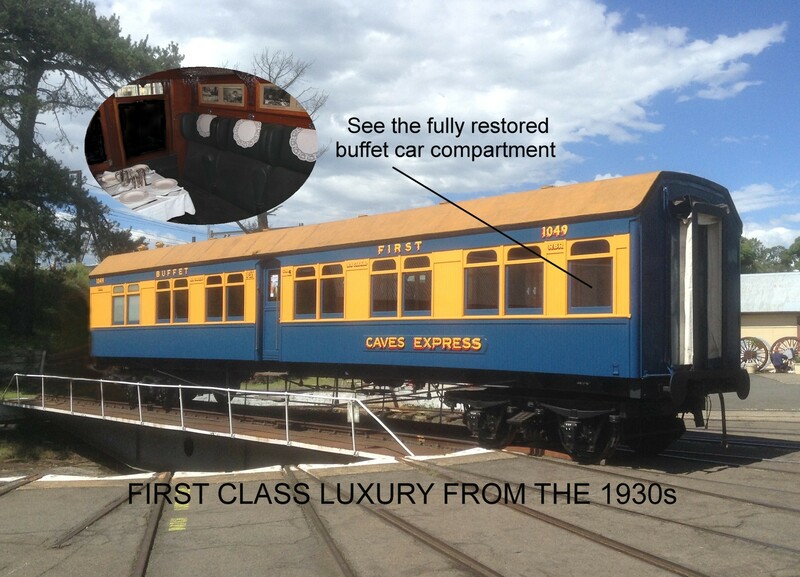 This carriage raced excited passengers across the Blue Mountains to Mt Victoria in the 1930/40s as part of the famous "Caves Express". Next stop Jenolan! Inspect its First Class style! Classic Sydney Steam Tram from the 1880s. The Heritage Listed Steam Tram takes excited passengers, young & old, for unlimited rides on selected Open Days (included in entry fee). Taken on the annual "Roaring 20s" weekend! A volunteer feeds the hungry fire of the Steam Tram. A great spot in winter but the fireman's lament in the warmer months! Three ages at Valley Heights. Stephenson No2 huffs and puffs soon after major service. The mountains stalwart 4601 looks on while an electric interurban train climbs past the Museum, destination Lithgow. 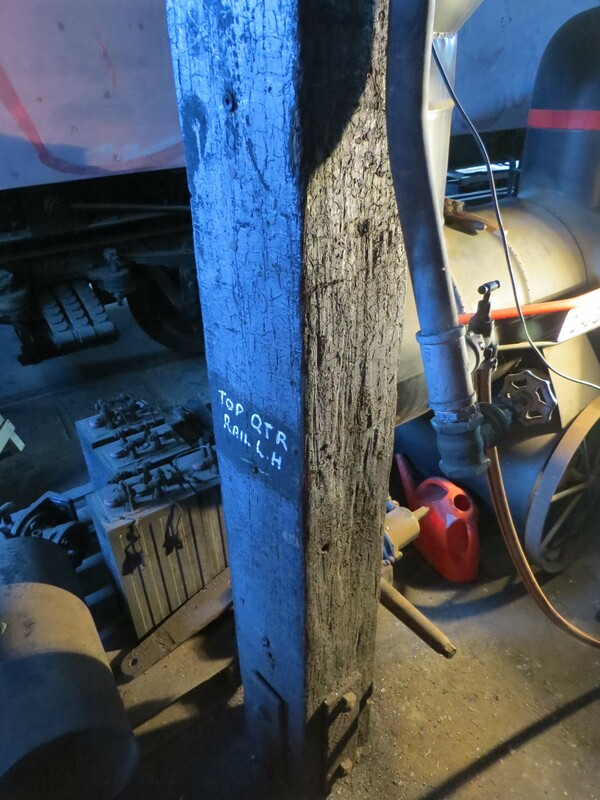 The legend on this 1914 hardwood roof support post in the roundhouse reads "TOP QTR RAIL L.H." We know what it _says_, but what does it _mean_? 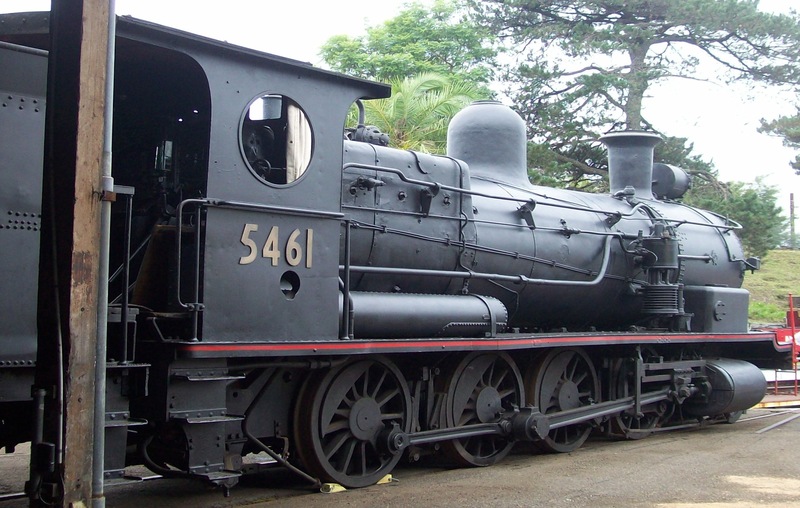 Meet the strongest loco in Australia in its day! UK built to NSWGR specifications, this powerful electric locomotive sounded the death knell of steam on the Mountains. This marvellous static restoration is open for inspection. 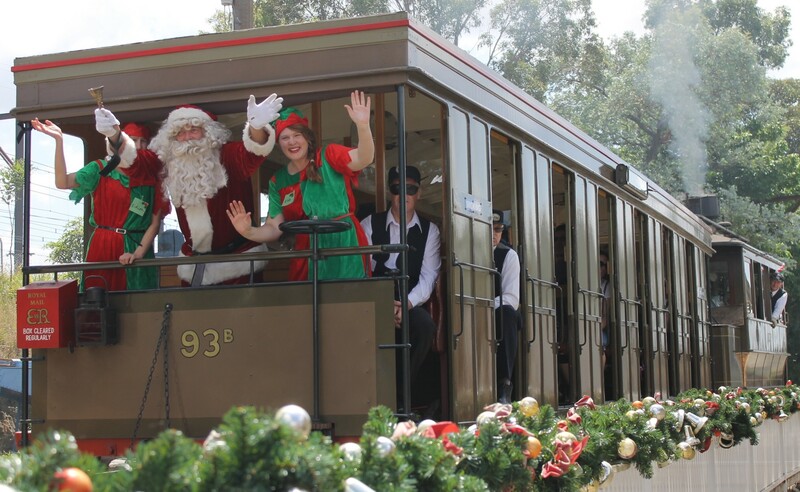 Early December sees Santa arrive on the Heritage Listed Sydney Steam Tram. Santa is available for a chat, photo opportunity and free gift for every child! Rides included! The Valley Heights Mixed ready for action! 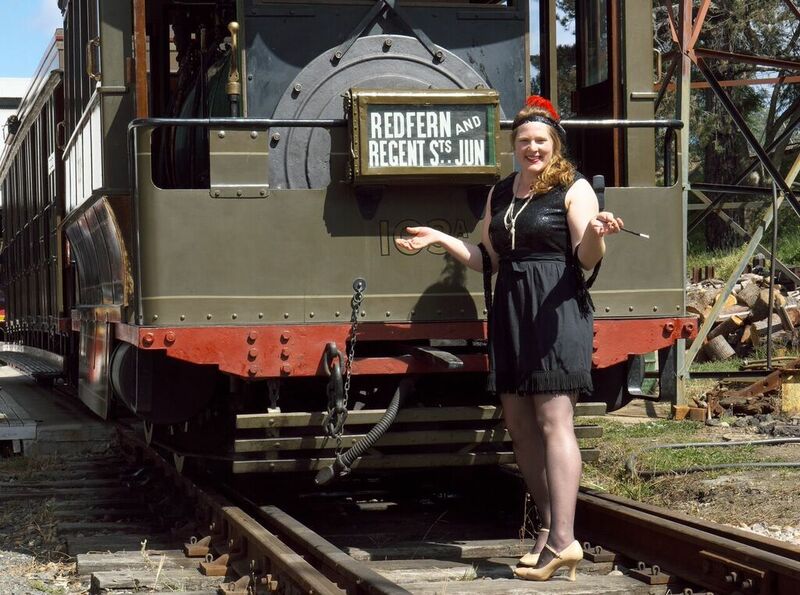 Located on the site of the 1914 railway roundhouse in the lower Blue Mountains of NSW, the Museum has a focus on the fascinating history of the main western line. 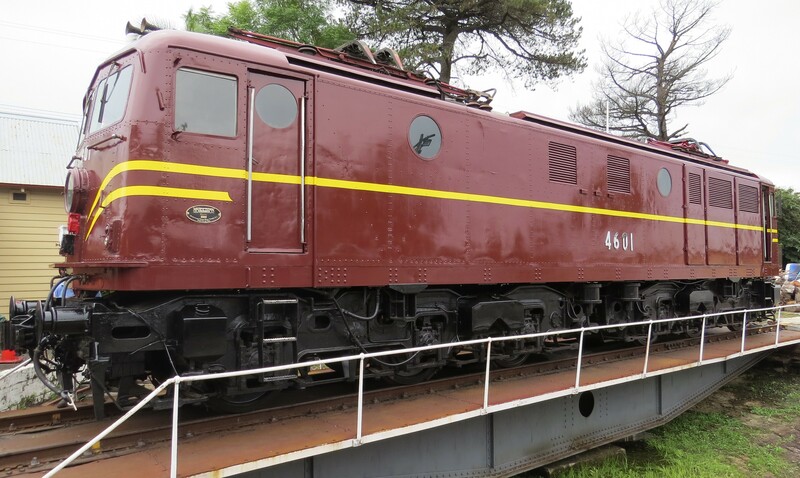 Many of the unique exhibits, both large and small, showcase the special relationship between the Depot and the community, and reveal the important role it played in the development of the state’s Central West. At the Centenary celebration in early 2014, attended by both the Governor and Premier of NSW, several stunning exhibits were revealed to the public for the first time, including a 5m long model layout in HO scale of the Depot as it was in the 1950s, showing many features long since removed. 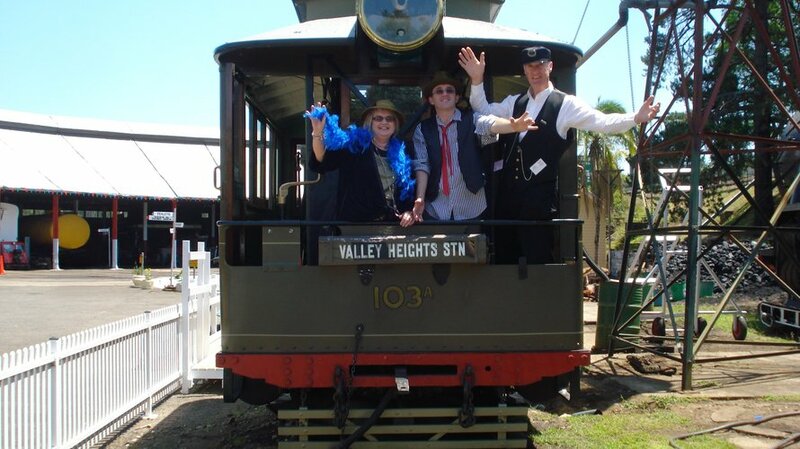 Also located here is the Steam Tramway & Preservation Society (STARPS) that operates a Heritage Listed 1880s Sydney Steam Tram & Tramcar for the enjoyment of passengers on selected Open Days. All rides are included in admission fees. This has been designed to entertain children of all ages, but especially 5 to 15 year olds! Ten interesting questions can be answered whilst wandering round the Museum, with a customised map included! Answers are available on the Museum's website, and a personalised certificate of achievement can be downloaded to print at home! QUESTIONS UPDATED REGULARLY.